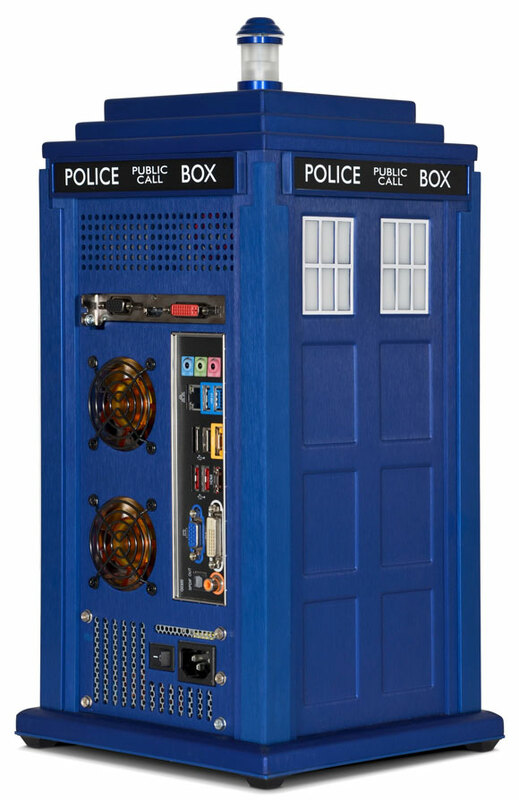 For all you Doctor Who Fans, Scan Computers has announced that it is now ready to release its newest PC, the TARDIS. The TARDIS, or Time and Relative Dimension in Space, has been Doctor Who's favorite vehicle since November 1963, keeping him safe through a multitude of adventures. The Scan TARDIS and UK-based design house Head Cases, have been officially licensed by BBC WW Ltd. to use the scale model. The case is made up of 45 individually cut pieces of brushed aluminium which are beautifully painted in the official Pantone blue colour of the original TARDIS. 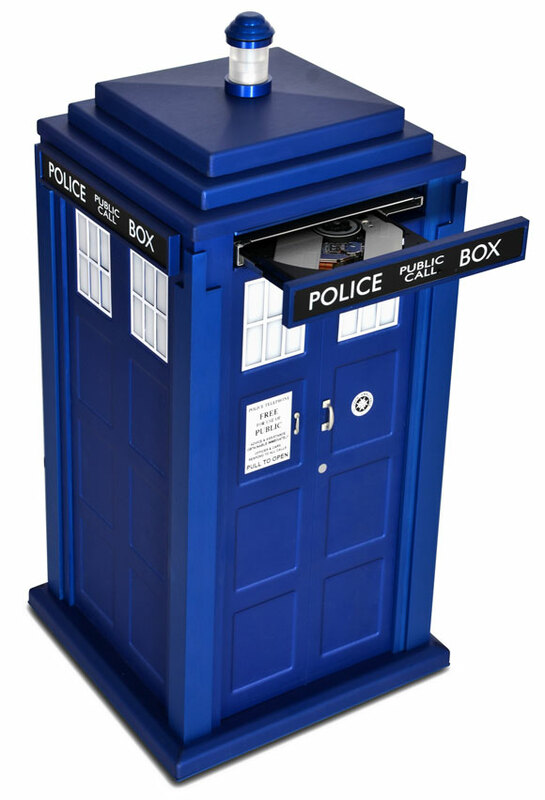 The TARDIS case is built to meet the exact scale dimensions of the original, it also has all of the details that fans expect to see such as the blue beacon on the roof, the pewter door handle, and period posters. 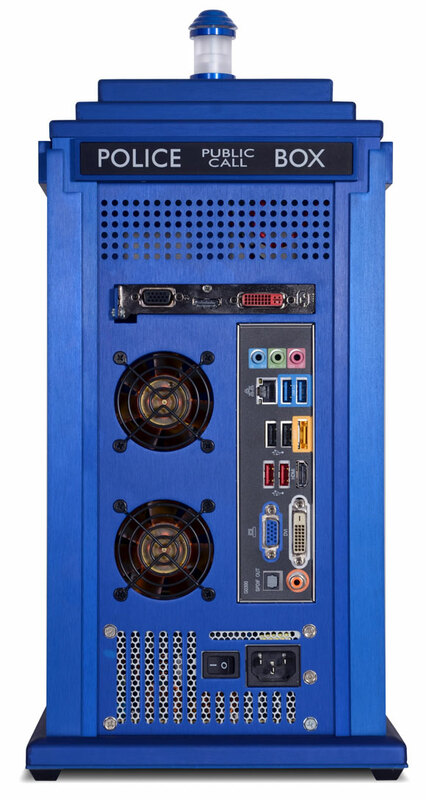 The Scan TARDIS is 205 x 205 x 430mm is size, so it might be possible to fit a high performance PC in it, just requires some slight modding on the GPU side. The TARDIS would look amazing next to a TV in the living room with the rest of your Doctor Who nicknaks. CPU - Intel 3rd Generation "Ivy Bridge"
Hard Drive / SSD Not Required - Using mSATA Above! Of course this can be configured to your own specs in the configuration menu. High quality aluminium model matches official the Pantone blue colour of the original TARDIS. The TARDIS consists of over 45 pieces of individually cut brushed aluminium. Together they create a faithful reproduction of the iconic phone box, instantly recognisable throughout the universe as the Doctor's time machine. As well as looking amazing, this computer case has been carefully designed to offer as much attention to detail internally as externally. The internal dimensions are intended to compliment the components exactly. This in turn, allows for maximum efficiency. The TARDIS case is more than shapes cut out of a sheet of metal. The roof consists of three individual tiers intricately folded, welded and fixed together. This creates the smooth lines that look so appealing to the overall appearance. The side panels and front panel are individually pressed. This forms the recessed panels and windows, giving greater detail than would otherwise be available. The side panels are created to allow for easy access to the internal workings, by the ability to slide in and out. When all the pieces are fully constructed they form three main parts – the roof, the optical drive housing and the main body. Central in the roof is the beacon which is pivotal to the integrity of the structure. It acts as the on/ off button, but also acts as the screw that holds the structure together. The finished design (which when sold will be the classic, identifiable blue) is a highly desirable, innovation award nominated case that is sure to be a talking point in any room.